The events are sponsored by the College’s Disability Support Services and include a dinner, workshops and competitions. They are free and open to the public. “The events provide the PBSC campus and local community with an opportunity to collectively and individually increase our knowledge and understanding of the practical and social aspects of disabilities, challenge our assumptions, and educate others and ourselves on how to interact with people with disabilities in the workplace,” said Nikki Champagnie, student development director. The events kick off with a Disability Networking Dinner from 5 to 7 p.m. Oct. 9 in the Public Safety Conference Center, PSD 108, on the Lake Worth campus. The dinner will be hosted in collaboration with Student Activities and the Career Center. At the event, attendees will learn more about the Americans with Disabilities Act, as well as employment statistics and workplace accommodations for people with disabilities. Oct. 16 – 11 a.m. – 2 p.m. – Disability Awareness and Employment Information Drive – Main first floor lobby at the Loxahatchee Groves campus. At the drive, students and employees will receive information about the Ticket to Work Program administered by the Social Security Administration. Oct. 24 – 11:30 a.m. to 1 p.m. – Celebration of Disability Awareness Month Workshop and Dress for Success Competition – Humanities and Technology Building, HT 102, at the Boca Raton campus. At the event, students will learn how and when to disclose a disability to an employer and the appropriate clothes to wear during an interview process. These events are also sponsored by the Career Center and Student Activities. 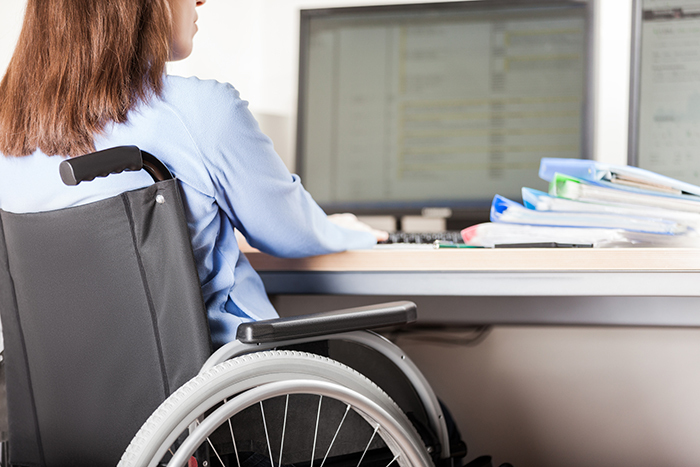 National Disability Employment Awareness Month was declared in 1988 by the United States Congress for October to raise awareness of the employment needs and contributions of individuals with all types of disabilities.